Whatever your style is, fake eyelashes will always add tons of beauty to your facial look within a few seconds. Anyone, who tried falsies know how they transform your face and how they work. Whether you are blessed with naturally thick and long lashes, a nice pair of falsies will always be handy. Having the best fake eyelashes will surprise you at how much charm they add to your makeup look. You face will be more attractive and look sophisticated or even more sexist then before. Despite the fact that best fake eyelashes will add more glamour, but there are some misconceptions about them like people said they look manifest or difficult to apply or have no worth. The fact is if you don’t use right pair of fake eyelashes, they are not going to work. So, it becomes true in that case. All you need to find the fake eyelashes that suit you and apply them easily. Picking a bundle or different types will confuse you and become overwhelmed. So, how do you know what best suit you and how to find it? So, to solve this, here we put together a detailed guide about best fake eyelashes. 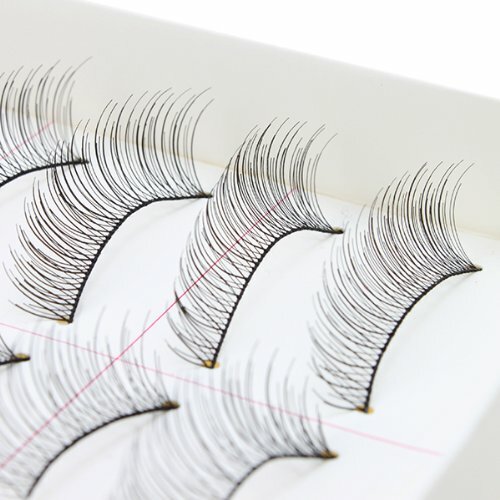 It will help you to figure out how many different types of false eyelashes are and how to differentiate them. We will cover everything from best fake eyelashes for beginners to pro, and for every type of eyes as well. I have spent several hours testing different false eyelashes and today we only present which work best for us. Nowadays, you will find two types of fake eyelashes on the market. One is synthetic and other is mink. So, let discuss them one by one. Synthetic fake eyelashes are the most common eyelashes, available everywhere. These are made from man-made plastic fibers. They are thicker than natural eyelashes and need to be disposed of after one-time use. They are available at a cheap rate due to the cheap material used in their manufacturing. So, you can say that there are affordable for everyone. You should use them on single night casual event. These eyelashes are made from real mink fur, as mink fur is soft, gives fluffy look and very lightweight. So, that’s why mink eyelashes are very similar to natural human lashes. You can use them over and over again as they are made with high-quality fur and other material used, also of good quality. With mink lashes, we also use an extremely flexible handcrafted cotton band. This band makes them very comfortable and one can easily apply them. Due to high-quality material and reused feature, they are costly than synthetic eyelashes. As mink lashes are costly, my suggestion is to use them on special occasions like wedding anniversaries, or birthdays or any other bridal events. If you are a beginner and going to use false eyelashes the first time, so you are thinking about where you should start. It can be a bit overwhelming, but as I mentioned above that mink eyelashes are easy to apply as compared to synthetic lashes. So, if you want a nice style and to look natural, start with mink lashes if you can afford them. As they are lightweight so you feel comfortable from start as well. If you start with synthetic lashes, then I would say, be patient to get a grip and do more practice. There are tons of different types of lashes available for everyone. But, not every lash is for you. To choose a perfect pair, you need to process a three-question answer filter to know what is the right fit for your eyes. Everone has some different and unique eye features which it becomes little tricky to find the right and compelling pair of false lashes. 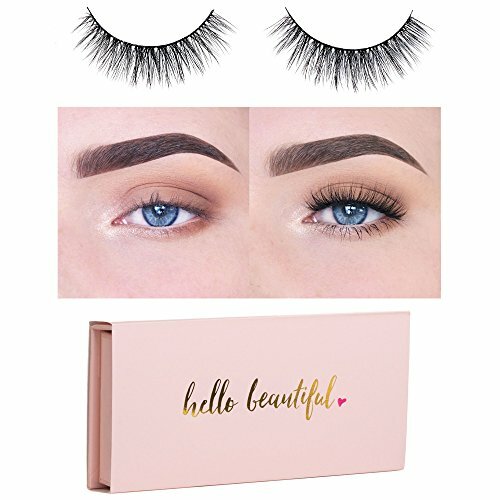 These unique features give us different ideas for different lash styles. So, take a proper look in your eyes in the mirror and match the right lash style for you. Eash lash has a description given so you will get a better idea. Knowing your eye size is very important. As, by knowing eye size, it will become easy to apply an eyelash. It will also help out you finding what length and design are going to suit you best. To take close look in the mirror to see where your eyes sit so you have an idea of the general size of your eye. To get a style that looks awesome, you must know the placement of your eyes. Do you have close-set eyes or wide-set eyes? If you have a close set of eyes, then I recommend you to choose fake lashes which focus on the outer corner, wider and make your eyes appear to be larger. As you have fascinating eyes placement which catches the attention with doing something extra. So, using mink lashes which leave the inner corner free give a charming style. If you have wide width eye set then you are lucky one. These kinds of eye sets create a more vigorous appearance. So, for this type of eye sets, I would recommend you to use full lashes from inner to outer corner. These lashes will produce an illusion and your eyes look closer. 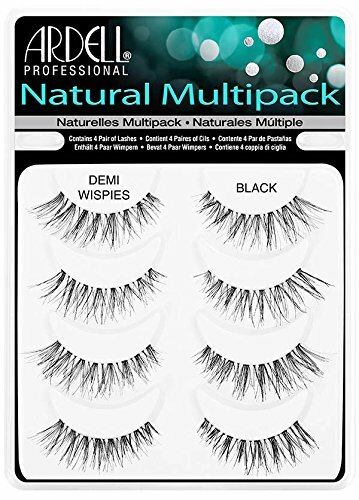 Ardell is the best fake eyelashes and is the best selling drugstore falsie product due to its natural look, high-quality mink material, and great design. As its lightweight and easy to apply, women love to use it on regular basis. You may say that its drawback that it has a very flexible lash band which will be invisible for most of us. This allows it to shape around the eye and looks very natural. If you apply it with gentle care, you may use it for many times. You need to have a solid grip on this as its tough job for beginners. The best thing about them is that they don’t fall and hold nicely, doesn’t matter what you put on them. As I mentioned above that mink lashes are very popular. Icona premium quality false lashes are one of them. But, they are getting popular because very soft eyelashes without using material drove from the animal. They use the synthetic fibers known as PBT which give the same feeling as mink fur. So they give guaranteed soft and high-quality falsies. These are very lightweight and cool when you use them. They look luxurious and reusable so definitely worth buying and you will be pretty happy after using them. Also, they have a nice design and give you a perfect look for special events. They have a bit higher price than others due to special construction material, awesome design and deemed as premium falsies. 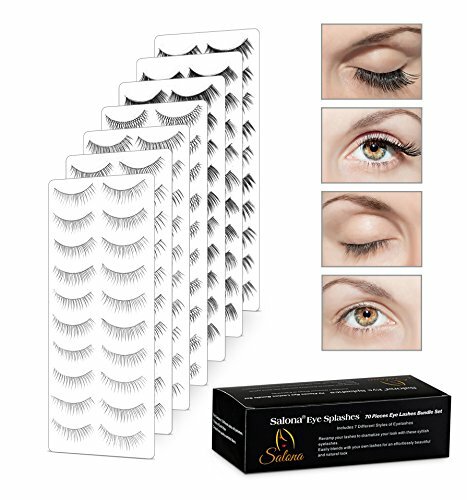 CJESLNA is another popular false eyelashes manufacturer that adore your face with a beauty of falsies. They produce synthetic false eyelashes and produce a number of styles for a single eye shape. So, they offer a number of versatile looks for everyday use. They give a wispy and unique style to your eye shape. They very lightweight with lots of choice option in design. The only downside is that they are not for beginners as to play with hairs can be a tricky part. So if are used to and familiar with them, it’s not a big problem. This is another handmade fake eyelashes give new look to your face. These are recommended for professional makeup or beauty salon runners. Because they need larget quantity for their clients so they are providing at a very reasonable price. Aside from that, they also provide 8 different styles in a pack so it is good to set your hands on them and easily switch to different looks when needed. You can use than all those dramatic styles in a day or with multiple clients as well. Almost every woman use eyelashes on daily basis. There are so many reasons for this and most of them want a new style every day. So for that, I would suggest you use eye splashes 70 pairs bundle. Even if you are want to use them daily, they are pretty cheap and will not alter your bank and budget. Also, you don’t need to be worried about the quality because are made of the good quality synthetic fiber. And the strip and flexible band is there to help you in applying them on your lids. So you can adopt different styles easily. 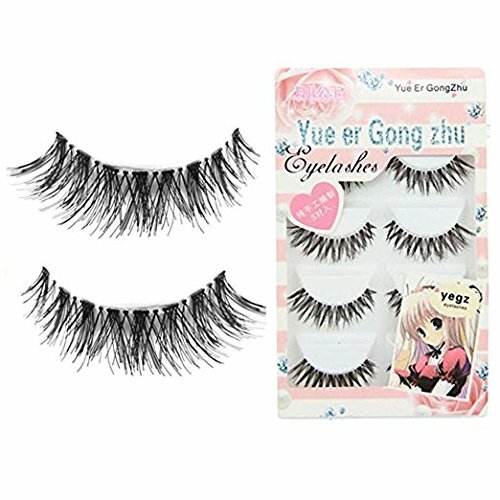 So these are out best fake eyelashes which you can use them on daily basis or there we also mention about event base eyelashes as well. So, you can easily figure out which suits you best according to your need and event. You may also send them as a gift to your girlfriend. Eyelashes always count when you choose especially dresses like long lace dresses, summer dresses, tunic tops with leggings, plus size dresses. You may be shocked the women and girls even match eyelashes with their respective women swimsuits and girls swimwear as well.